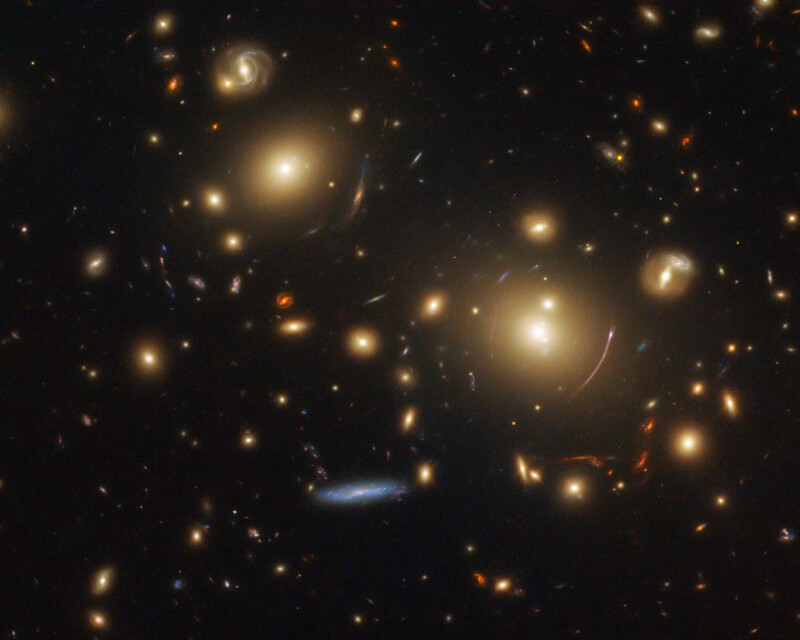 This picture showcases a gravitational lensing system called SDSS J0928+2031. Quite a few images of this type of lensing have been featured as Pictures of the Week in past months, as NASA/ESA Hubble Space Telescope data is currently being used to research how stars form and evolve in distant galaxies. Gravitational lensing can help astronomers study objects that would otherwise be too faint or appear too small for us to view. 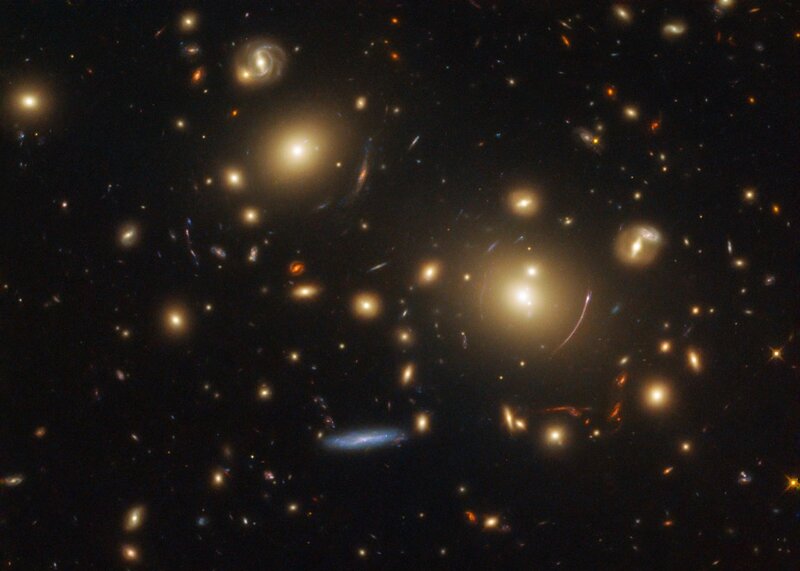 When a massive object — such as a massive cluster of galaxies, as seen here — distorts space with its immense gravitational field, it causes light from more distant galaxies to travel along altered and warped paths. It also amplifies the light, making it possible for us to observe and study its source. In this image, we see two dominant elliptical galaxies near the centre of the image. 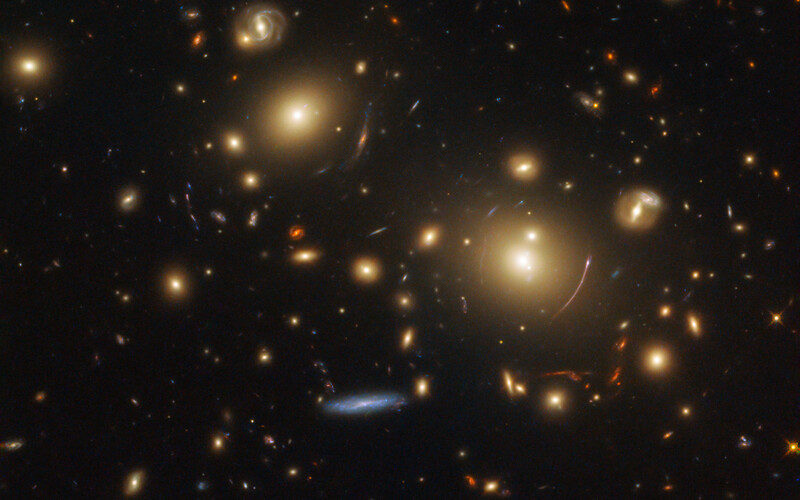 The gravity from the galaxy cluster that is the home of these galaxies is acting as the aforementioned gravitational lens, allowing us to view the more distant galaxies sitting behind them. We see the effects of this lensing as narrow, curved streaks of light surrounding both of the large galaxies. 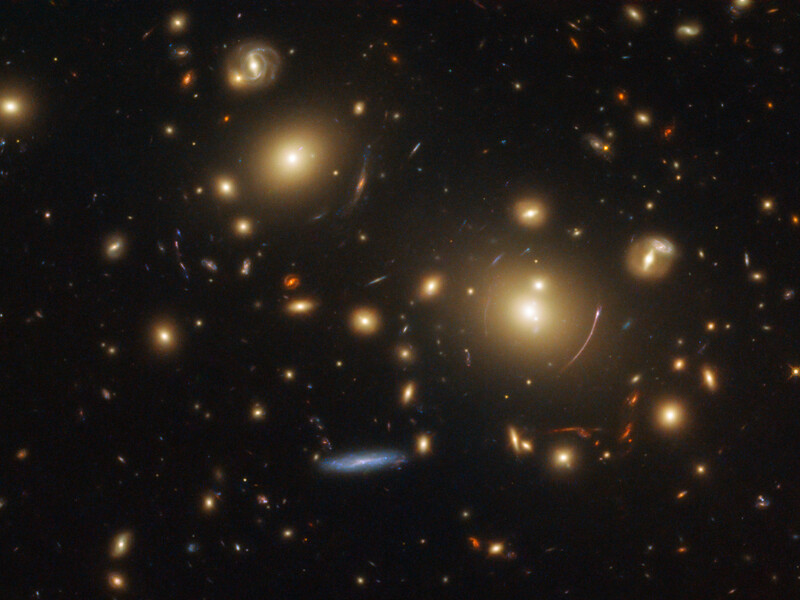 This image was observed by Hubble as part of the Sloan Giant Arcs Survey programme. ESA/Hubble & NASA, M. Gladders et al. Position (Dec): 20° 31' 23.86"